Does Windstream's Broadview Buy Mean 'Narrow UC' Is In? If network service providers are the new UC/UCC force, they're probably just looking for an easy managed service buck, and nothing more. In any industry, M&A is a sign of change. Sometimes it means an established company is snapping up a hot startup for its technology, and sometimes it means an industry is under commoditization pressure. Which one is Windstream's Broadview Networks deal, announced earlier this month? Perhaps it's a sign that to stay alive, UC isn't getting broader in its mission, but narrower. Broadly speaking, collaboration is on the rise. As we move from workers sitting at their "usual places" in cubicles to one where workers roam wild and free, supported by mobile broadband, we're opening the need for richer support of cooperative activity through communication. While the new model for collaboration seems to coalesce around business applications, UC/UCC has always been about communications devices, or the software equivalent of one. The application-driven success of collaboration could actually end up devaluing what we know as UC/UCC, and the Windstream/Broadview deal shows not one but several ways this could be happening. Windstream is a premier business network and cloud services provider, a company that provides a backbone IP network and both industry- and technology-specific services that include UC/UCC. Broadview is a provider of UC/UCC services to small and mid-sized companies. It focuses on secure, easily managed, multi-device communications services, delivered through a UCaaS platform as managed services that are expensed rather than based on capital equipment. 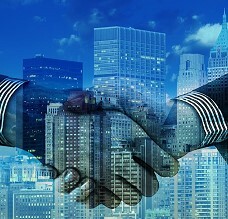 Windstream's acquisition is said to be based on a combination of "synergies," meaning redundant costs that could be eliminated with a merger company, and a belief in the managed service and UCaaS market among SMBs. The SMB space, after all, is historically willing to ditch buying and supporting capital equipment in favor of expensing managed services. This isn't the first M&A in the UC/UCC space, of course. Avaya, before its recent Chapter 11, had done a whole series of acquisitions. Same with Mitel and Polycom. It would be simplistic to say that all this M&A is driven by a single market condition. History points to three possible reasons for M&A. One is that the acquiring company is buying the technology needed to support hot new features expected to drive future market growth. The other two are the opposite. It could be that no future market growth is expected and we're into a last-man-standing industry consolidation. It could be that no future growth is expected and bigger players are buying market share. Either means consolidation. The alternative to consolidation is feature differentiation, which is tough if what you're doing is emulating an old-fashioned phone system. And yes, that's what you're doing if you are offering calling and voicemail and message exchange, however you paint your features. If there's going to be feature differentiation in UC/UCC, it has to come by focusing on application-centric collaboration. Nothing in the earlier M&A deals in the space suggests that change in focus. Nothing in the Windstream/Broadview deal does either. Or might Windstream be looking at a fourth reason for M&A? You could also see the Broadview acquisition as a managed service, or as-a-service shift driven by network operators' need to improve their profits. Network service providers by this time surely recognize that being in the bits-for-bucks connection services business is a long-term losing proposition. Profit per bit has been declining for two decades, and so providers must be able to sell something with more differentiable features and higher profit margins. Windstream could see UCaaS as an example of something that could leverage basic network/connection services. A lot of network service providers have managed service aspirations, and if Windstream is an example of the group, they're likely to pick up providers of UCaaS solutions rather than try to roll their own services based on available UC/UCC products. Still, we could see a wave of M&A as other operators prepare for their own broad managed service strategies, and that could generate a lot of short-term (and probably short-duration) opportunities at the business level. What this could mean for UC/UCC in the long term is harder to say. Consolidation is negative for any industry. Feature differentiation could be obtained only by taking a more application-centric view of collaboration, which favors application providers rather than UC/UCC players. Will the managed service focus, and the accompanying SMB market targeting, put even greater pressure on UC/UCC down the line? Will the fourth driver for M&A, which Windstream may represent, pose new risks for the market? The problem is that the focus on UCaaS for SMB increases the risk that UC/UCC will be isolated from the application-based collaboration that is the future of collaboration overall. Applications drive collaboration, and traditional voice, messaging, and video only realize the need that applications create. If UC/UCC decisively breaks from that need, then it's never going to be more than a newfangled phone system. And I think that's what's going to happen. If network service providers are the new force in the UC/UCC space, it's a force that's looking for an easy managed service buck and not one looking to transform the mission of UC/UCC. Avaya's Chapter 11 filing was a warning sign for the industry. The Windstream/Broadview deal should be another.